I wouldn’t be surprised if there isn’t a single perishable food product that can’t preserved by ways of canning, pickling, heat sealing, chemicals or other modern food wizardry. If anything, archaeologists will find the brittle remains of modern day humans preserved inside ruins of 7-11s alongside immaculate packages of Slim Jims and YooHoo. 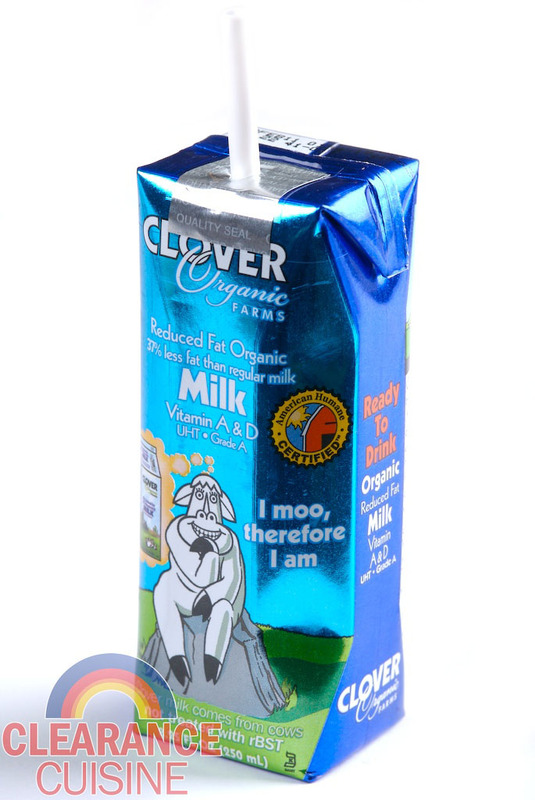 Before this Clover Organic Milk, I’d only seen soy milk, almond milk, rice milk, hemp milk and other milks in paper boxes, but I had always assumed that a regular diary milk would go bad. Through the magic of science, we now can have a handy box of moo juice any time without a refrigerator. Honestly, I really don’t drink much milk anymore, maybe because I was forced to buy cartons for lunch throughout my middle school career. I was never lucky enough to get beat up for my milk money, but I grew to dislike the stuff for the most part. Even as such, while a neat concept, the thought of room temperature milk sitting on a shelf made me a but uneasy. While it didn’t taste terrible (and I imagine chilled, it would be more enjoyable), I don’t drink milk enough that I would purchase this on a regular basis (even though was a great price). I don’t eschew dairy at all, but I’ll just stick to almond or soy milk if I’m drinking something from a box (or wine for that matter). This entry was posted on Wednesday, April 13th, 2011 at 9:00 am	and is filed under Drinks. You can follow any comments to this entry through the RSS 2.0 feed. Both comments and pings are currently closed.